Many of you might be using Lync application available with Office 2013, to join meetings, conferences on the go. Although Lync is now pronounced as Skype for Business, but whatever it is, I find the Lync application much convenient for this joining conferences. While creating Lync meeting invitation for your colleagues with Outlook 2013, there are some known issues you may came around even if you’ve installed Lync component with Office 2013. For example, when you open the new meeting invitation creation window, you cannot locate the Lync meeting tab. Due to this, you can no longer create a Lync meeting at all. This problem can be faced on Click-to-run based installation as well as on MSI installation. If you can’t figure out which type of installation do you have, go the Office account page of any of the application available in your Office 2013 package. If you can see the Automatically update option in that screen, you’re on Click-to-run based installation, else not. 2. In the Outlook Options window shown below, select Add-Ins in the left pane. Then come to the corresponding right pane, pick COM Add-ins against Manage and hit Go button. 3. Finally, enable the Lync Meeting Add-in for Microsoft Office <version> and click OK.
4. Finally, in the Edit DWORD Value box, set the Value data to 3. 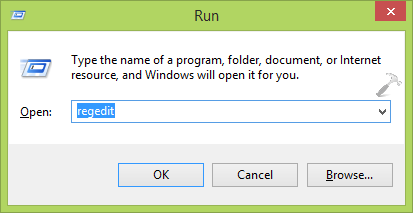 Click OK. Close the Registry Editor and reboot the machine to make Lync meeting tab available in Outlook 2013. Hope this helps! Go here if you’re facing Microsoft Outlook has encountered a problem and needs to close error. I do as you said, but in HKEY_LOCAL_MACHINE\SOFTWARE\Wow6432Node\Microsoft\Office\Outlook\Addins\UcAddin.LyncAddin.1, after I try to change the value to “3”, this change cannot be saved, do you know why?